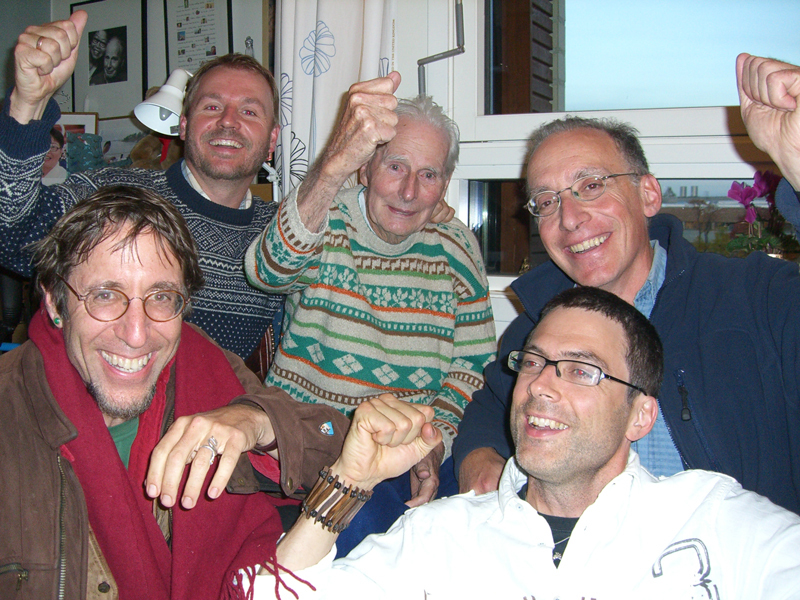 The four founders of the Alliance for Wild Ethics (all of them fathers of young children) with the mischievous Norwegian ecophilosopher Arne Naess. Arne died in 2009, just before his 98th birthday. He was an extraordinarily playful man, known and loved by pretty much all Norwegian citizens (although many of them knew of Arne more as a worldclass mountain climber and a somewhat mad public intellectual than as a philosopher).